FL Speak - Lustrum is beautiful. Its stunning. Its full of power, vice, corruption and greed. Its ROME! 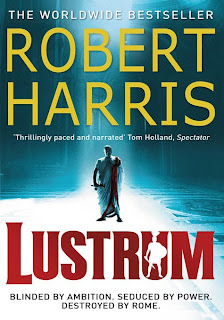 Lustrum is the sequel to Imperium which I had no idea about and which I didn't read. However the good thing is you can read the 2nd book even if you didn't read the first. But, do read the 1st one, before you die or the world ends (whichever is earlier). Lustrum : (noun), a period of five years. 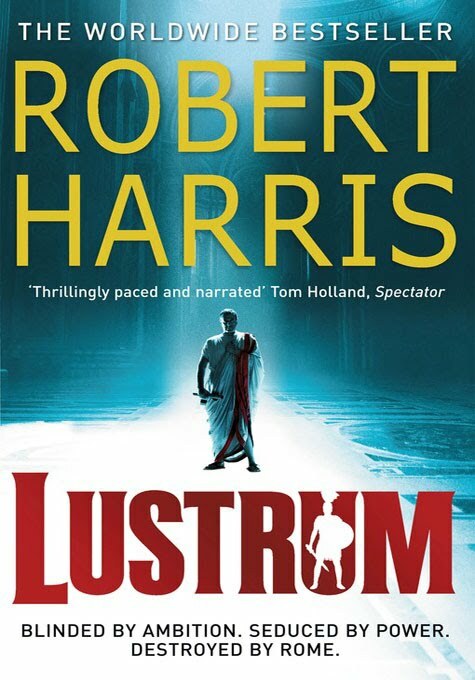 Lustrum depicts the next five years of the life of Cicero and his servant Tiro after he is elected consul. Rome is full of power and wealth. While the wealthy are cunning, the poor has no champion. And the only just man there is, is Cicero. The long standing enmity between Cicero and Julius Caesar was worth reading. Oh Caesar is famous now. He was also the most manipulative, power-crazy megalomaniac ever that brought the Rome on the brink of destruction. The author firmly states that Lustrum is a tale of fiction. However, you do wonder where the thin line between fact and fiction dissolve. Coming back to the story, as soon as Cicero is consul, Caesar and his friends start brewing trouble. Cicero knows that Caesar is the most dangerous of them all, but without definite proof he's powerless to act and Caesar is simply to wily to get caught. When a child's mutilated body is discovered and it is realized that a human sacrifice was done and an oath made to murder Cicero, Cicero knows that he needs to move fast. With only the gift of being a wonderful orator, Cicero foils plans of Caesar and Catilina time and again. With the passing of time, the adversaries grow stronger and plans bolder. And only with a sharp mind can Cicero save the republic from descending into tyranny. And if Caesar has his way, the entire world would crumble. Page after page of excitement, Lustrum never fails to amaze. And when Cicero has finally defeated Caesar in the courts, he breathes a sigh of relief as Caesar apparently has given up on his quest. Instead Caesar moves away to the border to lead Rome's army against his enemies. But the time for stability has only started when after a year Caesar returns being ever-victorious in the field and with much more power. With Caesar being consul, the laws that Cicero managed to implement started shifting. And then Cicero's friend and Rome's greatest general, Pompey returns. But is he still the same friend or is he back because of Caesar, that my friends, you need to read to find out. As Cicero's fame wanes and Caesar's grows, the enmity between the two increases. By the end of the book, you'll realize just how far can a person go for absolute power. Lustrum marks the rise and fall of Cicero. Lustrum marks the beginning of a new Rome. Lustrum shows the sin is never truly forgotten. Historical fiction is something I was sceptical about...History=boring(school scars never fade! ).But you have managed to change my mind. Lustrum sounds good. So I'll probably give Hilary Mantel a try too! This year I read two historical fictions and I must say I love that genre already !